Anna and Walter met in 2015, got engaged three years later, and will be married June 28, 2019, on the feast of the Most Sacred Heart of Jesus. They look forward to sharing the journey of their engagement and marriage with you! Anna is a Maryland girl, born and raised, while Walter is a New Jersey man. 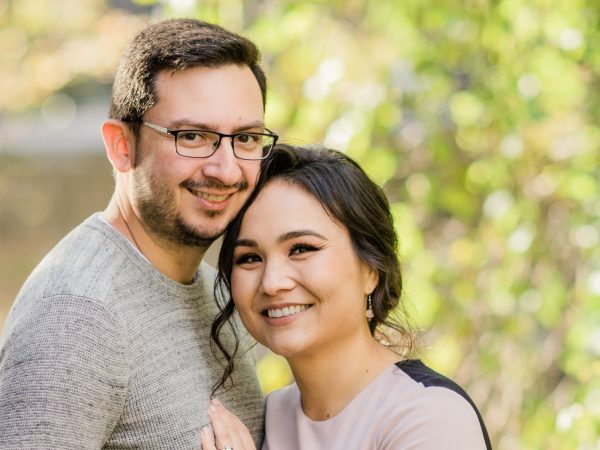 They met in New Jersey in 2015 while Anna was getting her masters in moral theology at Immaculate Conception Seminary School of Theology at Seton Hall University and Walter was working as a research and development engineer at a medical device company. God works in mysterious ways – even through a dating app! They found each other through an app called Coffee Meets Bagel. After six months of dating, Anna moved to Washington, D.C., and they became a long distance couple. Walter proposed in February 2018, and after nearly two and half years they finally said goodbye to long distance. Walter now works as a biomedical engineer in Northern Virginia and Anna is an editor at Catholic News Service.